Does Medicare Cover the Cost of Assisted Living? The federal government gives money to the state government for Medicare. The state then creates their own program based on the needs of the residents in their state. Most states have a formula that basically say that a senior should prove that he/she had no income and no assets. Their income, if they've got income (example: from social security $1,000 a month), the typical formula is they'll say to that resident: “We'll let you keep $100 of your own social security. We'll take the other $900 and apply that towards the assisted living." Then they'll say, "We, as a state, we're willing to pay $60 a day." That's $60 x 30 days/mo., that's $1,800/mo. Out of your social security, you're going to pay the first $900. The state will only pay the extra $900. That means the homeowner is going to get $900 from the state and $900 from the social security for a total of $1,800 a month. I’ve already told you the average cost is $3,600 per resident, per month. Your Question: How can I operate a profitable business at half the rate of average? The homes that accept Medicare patients, they tend to have a very substandard ability to offer a great product. You can't have a lot of caregivers. You can't have great food or a great facility. There's not enough money on the table. That's why I train you to focus on people who have the money to pay. We can only take care of so many people. Let's focus with the one's that can afford to pay us for the great service we will give them so we can help them, have a great product and make some good money doing good and doing well. 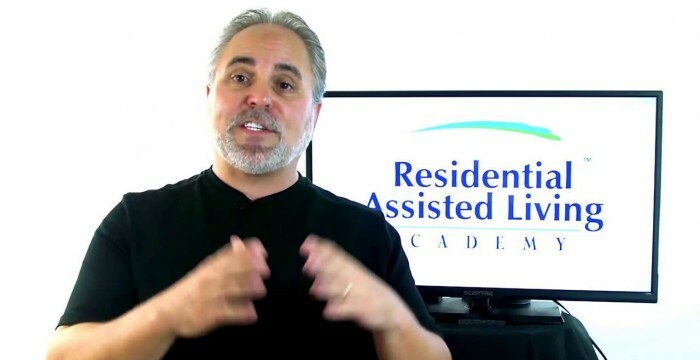 If you have more questions about residential assisted living and how you can get started, go to ralacademy.com. Founder of the Residential Assisted Living Academy. PS: RAL Academy offers live training, online training and expert coaching. This entry was posted in medicare supplement and tagged A Place for Mom, Assisted Living, best investments for doctors, best investments for nurses, Best Real Estate Investment, Best Real Estate Investments, expert on senior housing, Gene Guarino, House for Mom, Phoenix, R/E Investments, RALA, Real Estate Investment, Residential Assisted Living, Residential Assisted Living Academy, Senior Housing, Senior Housing Investments, the silver tsunami. Bookmark the permalink. That’s NOT FAIR! What if he’s stuck living with his unstable family who can not get along all because Medicare and social Security will not pay enough for these group homes something has got to be done! It’s not fair I have to live like this! It sounds like you may be speaking about your own personal circumstances. I am sorry to hear that. We do cater to those that can pay for their own care, Private Pay, but there are homes that will accept what ever the state will pay for as well. you’ll either own the real estate, the business or both. Or you or a loved one may be lying in a bed paying someone else to care for you. Its best to choose how you will be “involved” now and to be prepared. Even having just 1 home now, will provide for you today and protect you and your family tomorrow. Great informative video! Medicare covers only medical approved facilities for medical services.